With so many high profile companies vying for selling space in the UK’s High Street sports shops, the promotion of theses famous brand names is the key to their success or failure. Arguably, Nike and their ‘swoosh’ logo are the best recognised, especially with their endorsement and backing of so many well-known sports stars in many different TV broadcast sports. Whatever sport you play or participate in, there’s a celebrated sports supplier ready to sell you the right clothing, footwear or equipment endorsed with their famous logo. 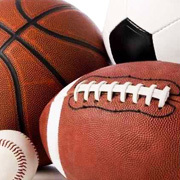 Physical sports shops are just one outlet for these companies in which to sell their products. Increasing use of online retailing has helped smaller brands to impose themselves in the market place and compete with bigger suppliers like Adidas, Babolat, Lonsdale, Raleigh, Sketchers or Umbro. Huge advertising and marketing budgets are important factors as the sports companies fight for market share. Worldwide distribution helps suppliers to impose their brand name to billions of consumers who are always ready to purchase the latest innovation or product that may help them to improve their performance.